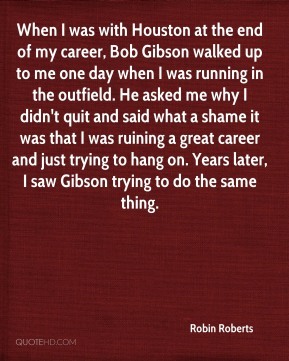 When I was with Houston at the end of my career, Bob Gibson walked up to me one day when I was running in the outfield. He asked me why I didn't quit and said what a shame it was that I was ruining a great career and just trying to hang on. Years later, I saw Gibson trying to do the same thing. It was never going to be The Paul and Bob Show. 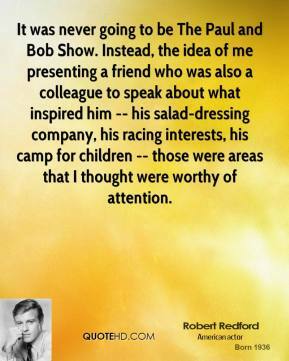 Instead, the idea of me presenting a friend who was also a colleague to speak about what inspired him -- his salad-dressing company, his racing interests, his camp for children -- those were areas that I thought were worthy of attention. 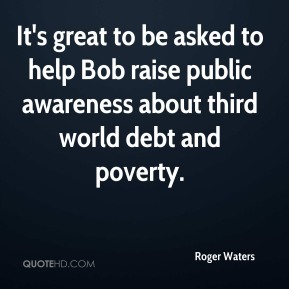 It's great to be asked to help Bob raise public awareness about third world debt and poverty. 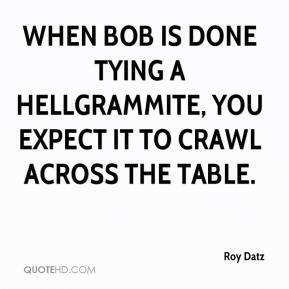 When Bob is done tying a hellgrammite, you expect it to crawl across the table. Conditions were very difficult. 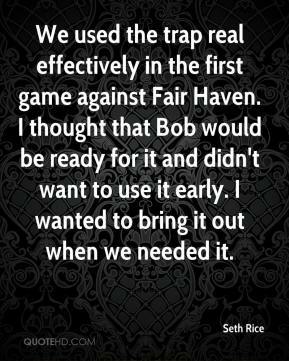 I heard Bob Estes talking about it. 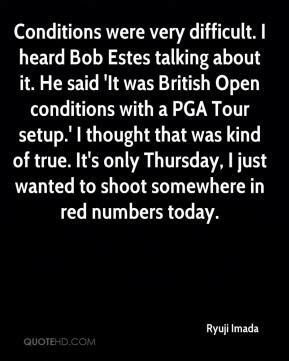 He said 'It was British Open conditions with a PGA Tour setup.' I thought that was kind of true. It's only Thursday, I just wanted to shoot somewhere in red numbers today. 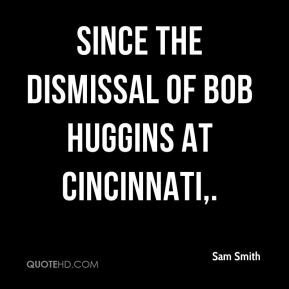 Since the dismissal of Bob Huggins at Cincinnati. 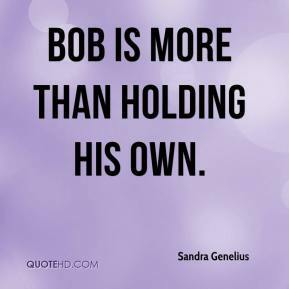 Bob is more than holding his own. I love rap music. 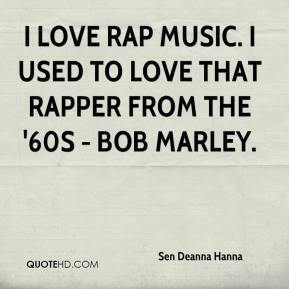 I used to love that rapper from the '60s - Bob Marley. 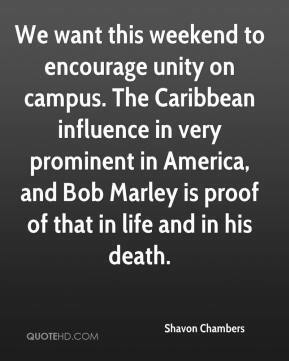 We want this weekend to encourage unity on campus. 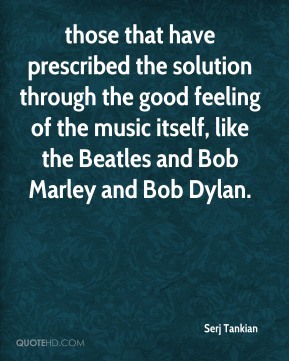 The Caribbean influence in very prominent in America, and Bob Marley is proof of that in life and in his death. 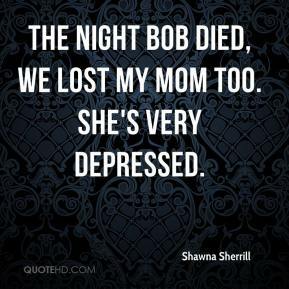 It was pretty weird that they couldn't find Bob that night. 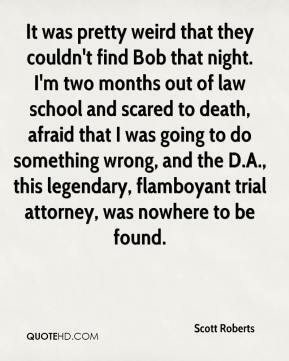 I'm two months out of law school and scared to death, afraid that I was going to do something wrong, and the D.A., this legendary, flamboyant trial attorney, was nowhere to be found. 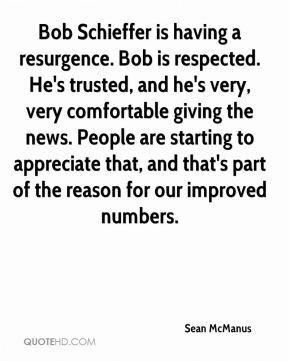 Bob Schieffer is having a resurgence. 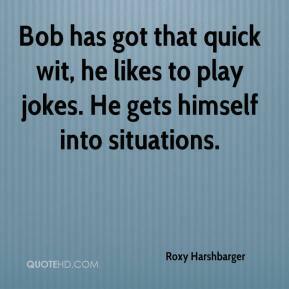 Bob is respected. He's trusted, and he's very, very comfortable giving the news. People are starting to appreciate that, and that's part of the reason for our improved numbers. Sun takes great pride in its impeccable reputation as a transparent and compliant organization. With the addition of Bob to Sun's board and the appointment of Mike as Sun's new CFO, I'm 100 percent confident that the strong tradition will continue and I look forward to working with them both in their new roles. 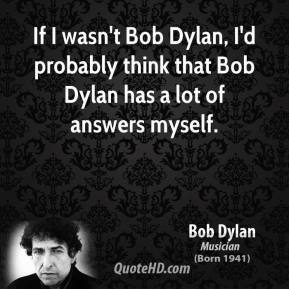 Obviously, Bob was in shock, ... We were, too. He finished the hole and I'm keeping his scoring, trying to figure out on the next tee what he made. But I'm certainly not going to ask him. 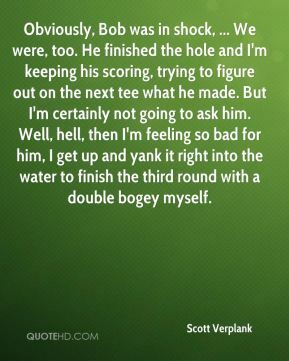 Well, hell, then I'm feeling so bad for him, I get up and yank it right into the water to finish the third round with a double bogey myself. Ever since we launched our campaign with Baby Bob our commercials have consistently ranked in the top 10. 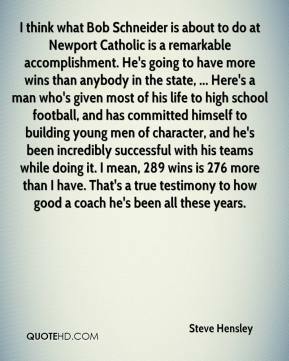 I think what Bob Schneider is about to do at Newport Catholic is a remarkable accomplishment. He's going to have more wins than anybody in the state, ... Here's a man who's given most of his life to high school football, and has committed himself to building young men of character, and he's been incredibly successful with his teams while doing it. I mean, 289 wins is 276 more than I have. That's a true testimony to how good a coach he's been all these years. 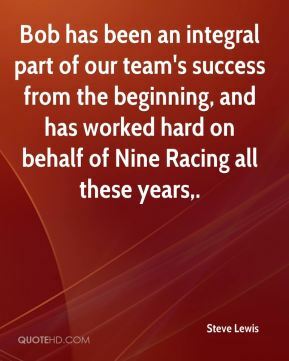 Bob has been an integral part of our team's success from the beginning, and has worked hard on behalf of Nine Racing all these years. 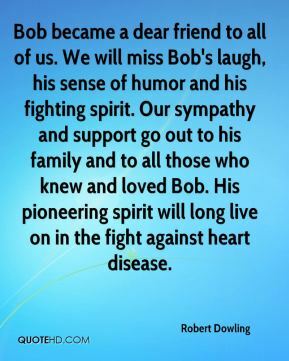 Although Bob was a Republican and a conservative, he took great pride in the regularity with which the committee under his leadership voted with unanimity, ... 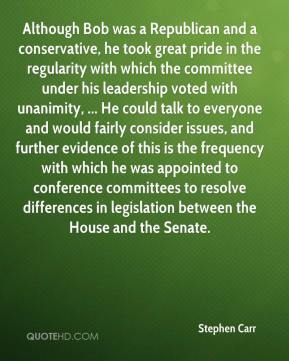 He could talk to everyone and would fairly consider issues, and further evidence of this is the frequency with which he was appointed to conference committees to resolve differences in legislation between the House and the Senate. 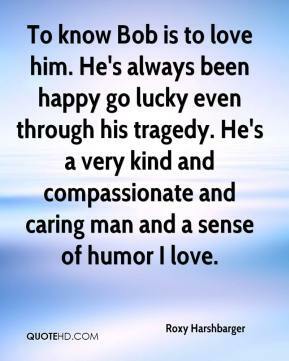 What I really got from Bob was this unbelievable sadness. 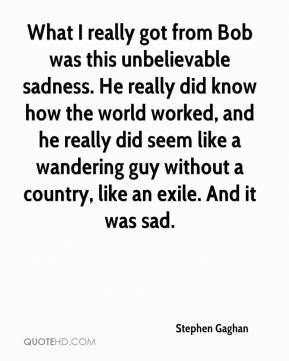 He really did know how the world worked, and he really did seem like a wandering guy without a country, like an exile. And it was sad.